Add all the ingredients according to the package instructions. 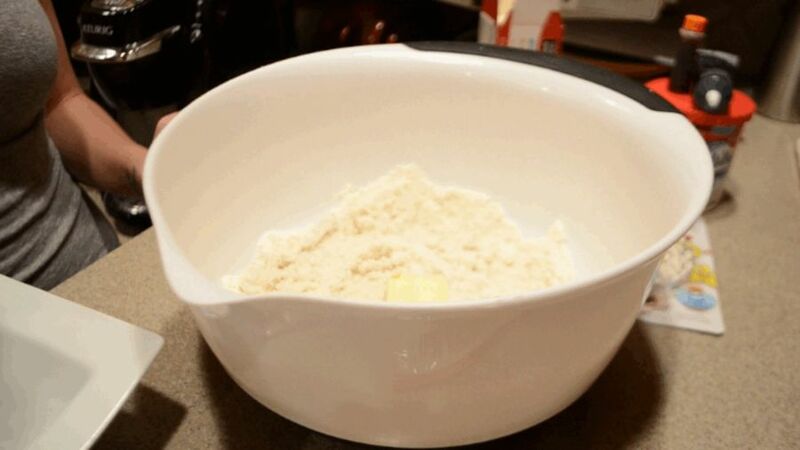 Mix everything well; you’ll want to achieve a thick and consistent dough. 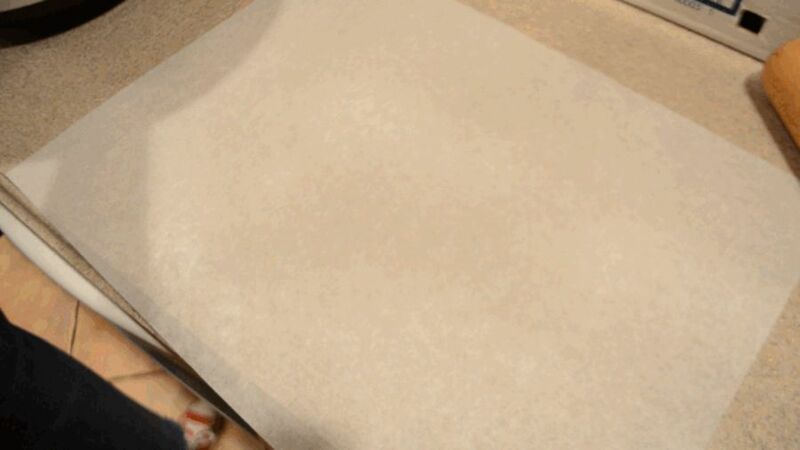 Sprinkle flour on wax paper to avoid sticking, and use a rolling pin to flatten the dough out. Once you’ve gotten the dough to a thickness of about 1/4 of an inch, use the round cookie cutter to cut out your snowman faces! 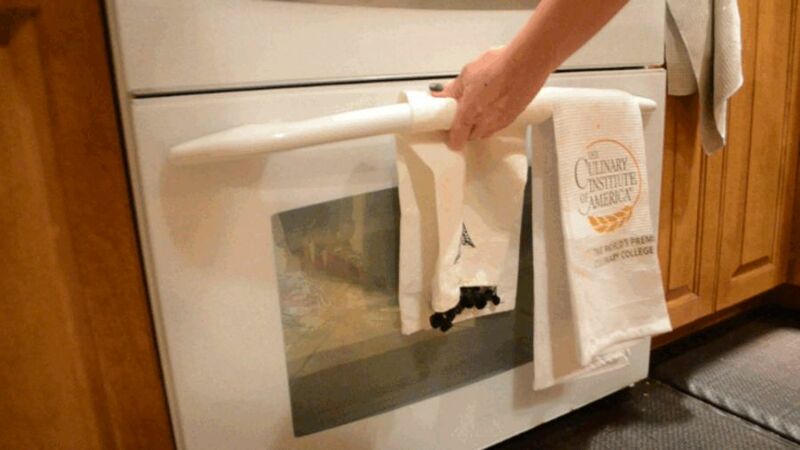 Line your baking sheet with wax paper and place your snowman circles on the sheet. 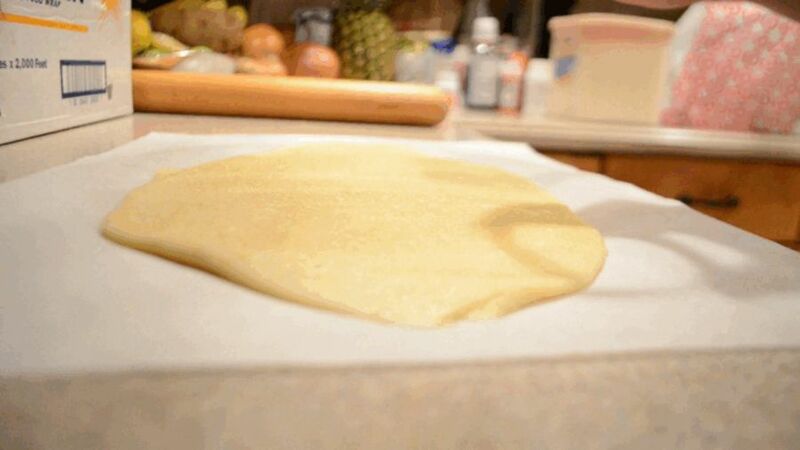 Place your stick in the middle of each circle, and cover it with a pinch of dough. Bake until golden brown; keep on eye on them as the baking times may vary depending on how many you bake at a time. I did 6 with a baking time of about 7 minutes. 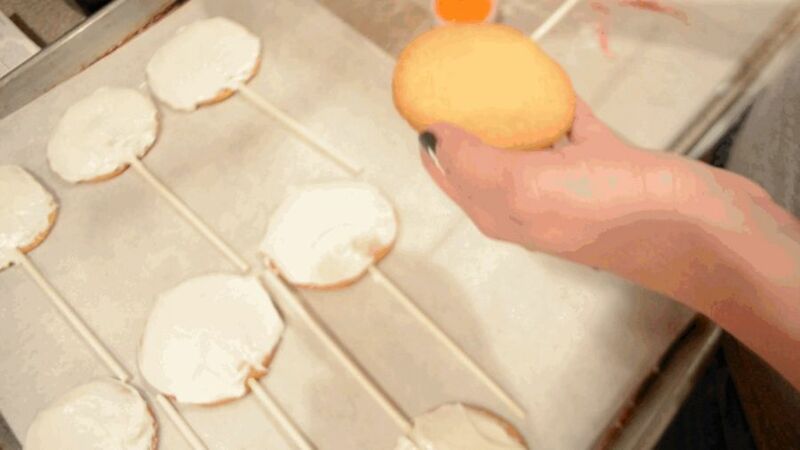 Let cool for 10 minutes, and then add a thick layer of frosting. 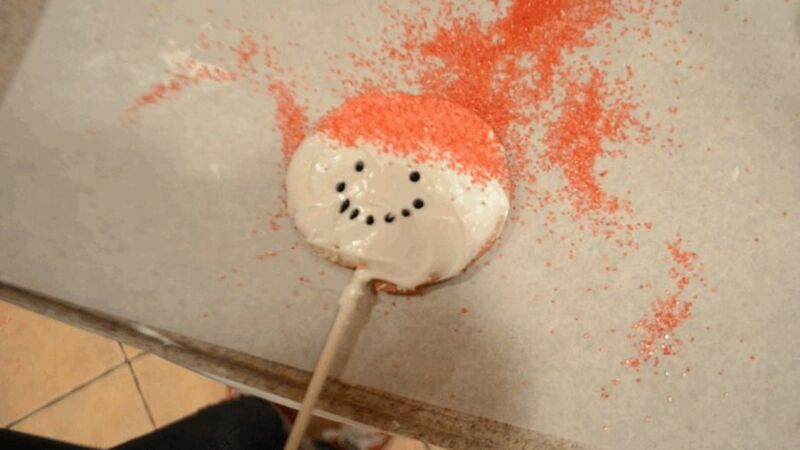 Carefully use the red sprinkles to make the snowman’s hat. 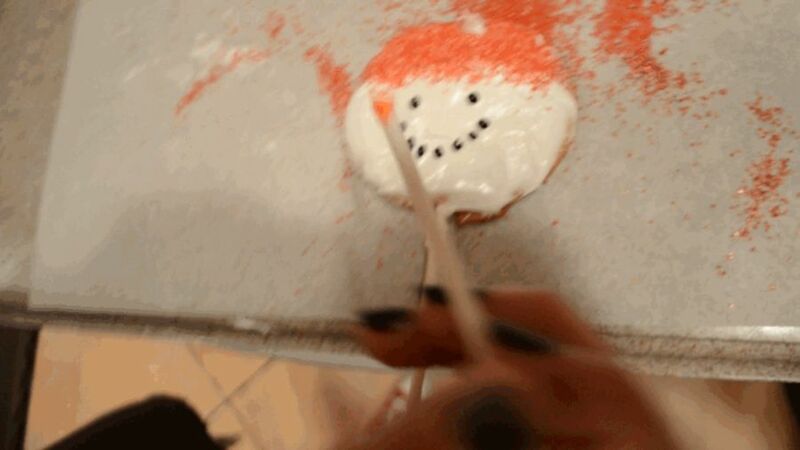 Use the black decorative frosting to make his eyes and mouth. 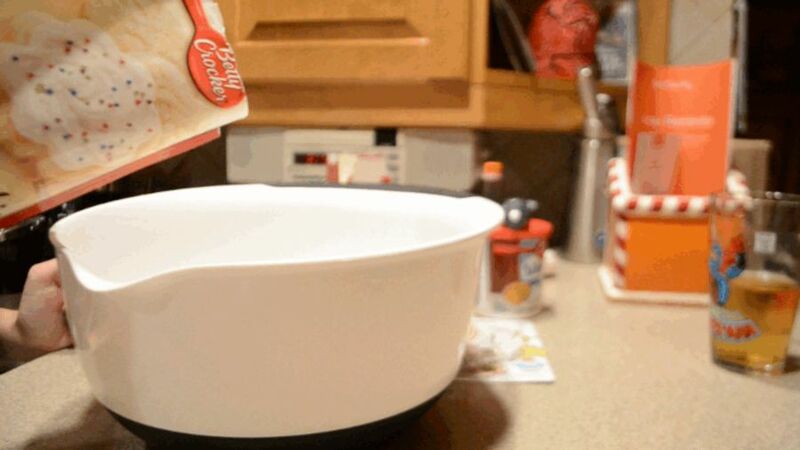 Use a knife to create the little white ball for his hat. 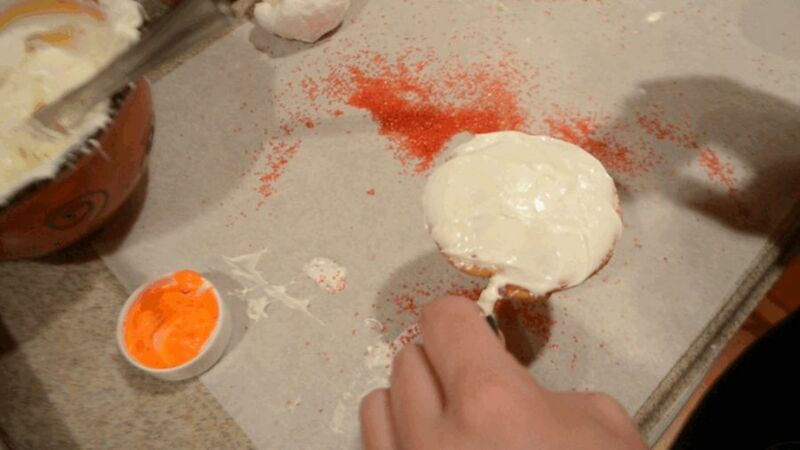 Add a few drops of orange food coloring to a small cup of white frosting to make his carrot nose. 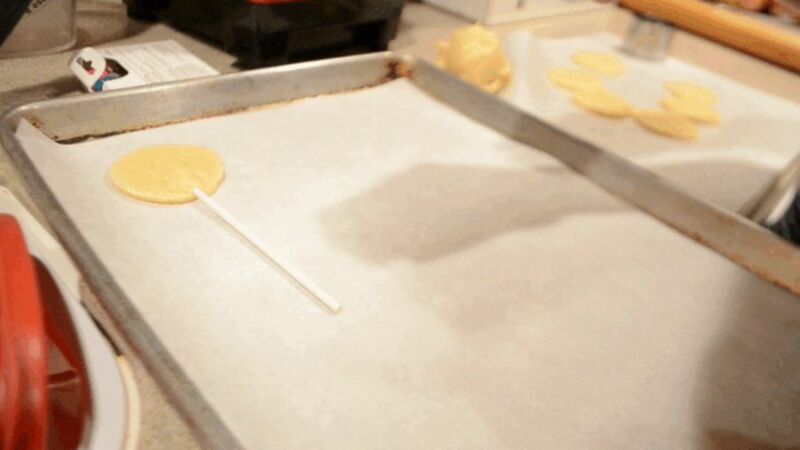 Apply the nose with a cake pop stick. 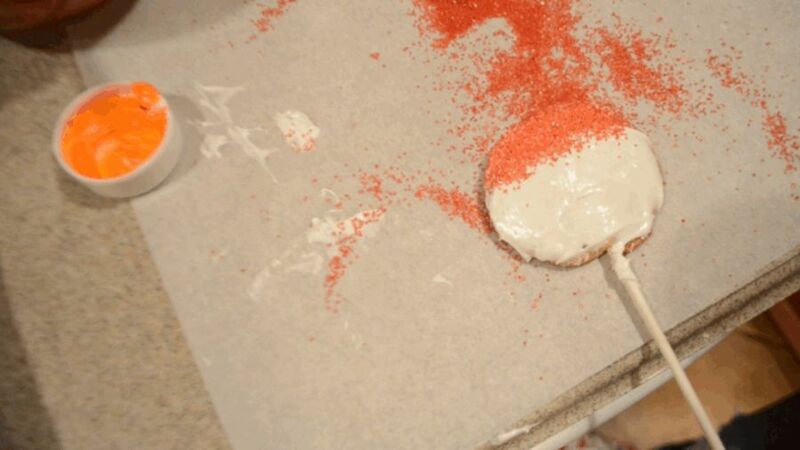 These sugar cookies are the perfect way to get your kids involved in the holiday cooking. 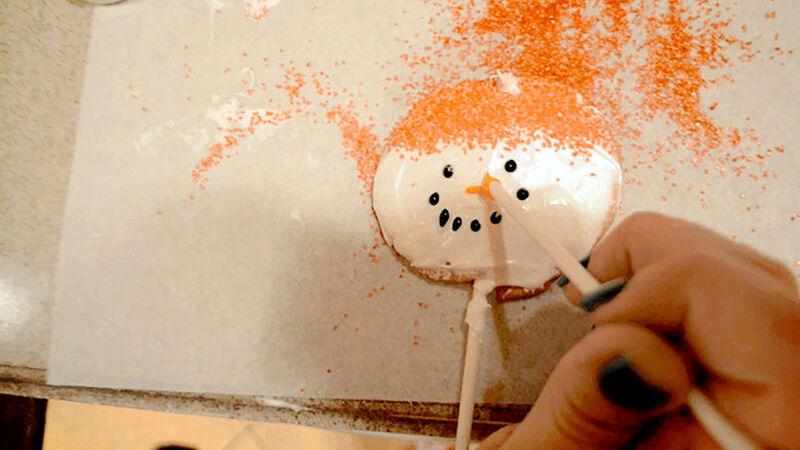 Easy to follow and absolutely delicious, spread a little joy with these happy snowmen cookie pops!